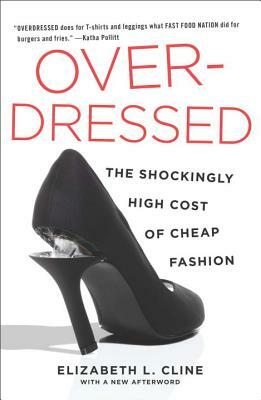 Overdressed: The Shockingly High Cost of Cheap Fashion (Paperback) | Copperfield’s Books Inc.
Cheap fashion has fundamentally changed the way most Americans dress. Stores ranging from discounters like Target to traditional chains like JCPenny now offer the newest trends at unprecedentedly low prices. And we have little reason to keep wearing and repairing the clothes we already own when styles change so fast and it’s cheaper to just buy more. Cline sets out to uncover the true nature of the cheap fashion juggernaut. What are we doing with all these cheap clothes? And more important, what are they doing to us, our society, our environment, and our economic well-being? Elizabeth L. Cline has written for AMCtv.com, The Daily Beast, New York, The Etsy Blog, Popular Science, The New Republic, The Village Voice and seedmagazine.com. She lives in Brooklyn, New York.